The cerebellum is an important part of the central nervous system in most vertebrates. This brain structure is involved in several functions, such as motor control, reflex adaptation, motor learning and cognition (Buckner 2013; Lupo et al., 2018). 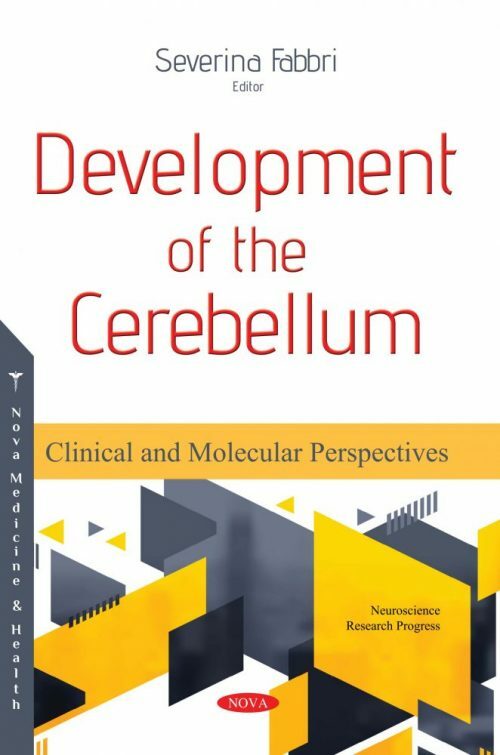 The opening review in this compilation focuses on the development of the cerebellum, and more specifically, on the production of several types of neurons. It will show that these cells are sequentially generated following strict neurogenetic timetables. Following this, the authors review manuscripts focusing on the negative impacts of maternal diabetes in pregnancy on the developing cerebellar cortex. Dissecting out the mechanisms responsible for maternal diabetes-related changes in the development of cerebellum is helpful in preventing impaired neurocognitive and neurobehavioral functions in offspring. The authors also investigate the consequences of repetitive drug administration on cerebellar synaptic efficiency. Insight into the neural mechanisms underlying these impairments has largely stemmed from clinical animal studies. The molecular and neuronal actions of addictive drugs in the cerebellum involve long-term adaptive changes in receptors, neurotransmitters and intracellular signaling transduction pathways that may lead to the reorganization of cerebellar microcomplexes or recreation of new domains of attraction. The gecko is proposed as a prospective animal model for a spaceflight experiment. Geckos demonstrate effective adaptation to weightlessness, quickly attaching themselves to surfaces by means of their subdigital pads, and during the spaceflight they retain both attached positions and normal locomotion, showing normal foraging, exploratory, social, and even play behavior. Next, an investigation was performed on Wistar rats with STZ – induced diabetes. High frequency were delivered to the VI-th lobula of the paleocerebellum in two different regimes – one ES per two daily and thrice per day. VEP were registered in 6 and 12 weeks from the moment of diabetes induction. Lastly, a meta-analysis of recent findings of cerebellar involvement in executive functions is provided. A methodological issue is raised which is relevant for models explaining cerebellar connectivity and effects on cognitive performance in old age.